The UAE ranks as the world’s third largest destination for infrastructure investments, with Dubai’s massive expansion strategy leading the way, according to a new report published by US-based financier Bank of America Merrill Lynch. Dubai currently has $42.5 billion-worth of infrastructure developments currently in construction, with the bulk of these designed to support the staging of Expo 2020 Dubai, which will be the first World Expo event staged in the Middle East. The Dubai government’s 2017/18 budget has earmarked $15.5 billion in spending on new infrastructure projects, representing 21 percent of total public spending this year. 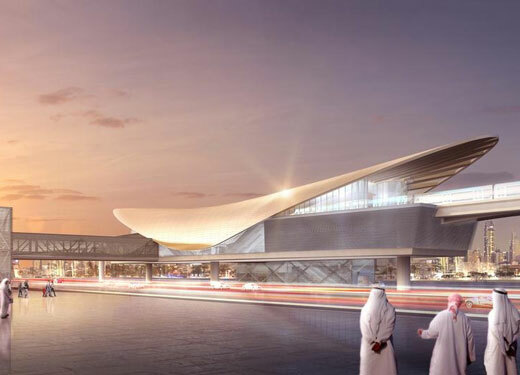 Highlights of this spending spree include the extension to the Dubai Metro, which will link the Expo 2020 site to the main rail network; the expansion of Al Maktoum International Airport - Dubai World Central (DWC) – the new mega air hub being built at Dubai South; and the massive expo site itself. The expansion of DWC looms as one of the most important projects for Dubai’s future development as an international air hubs. According to data from operator Dubai Airports, DWC reported passenger traffic of just 334,455 in the first quarter of 2018, compared to Dubai International Airport’s result of more than 7.8 million. DWC will eventually accommodate more than 40 million passengers annually when fully operational in the mid-2020s. Billions of dollars are also being invested in new hotels and tourism infrastructure designed to captivate visitors to the city during Expo and in the years following the event. Dubai’s hotel room inventory stood at 108,807 as of 31 March, spread across 689 hotel and hotel apartment establishments, representing year-on-year increases of 4 and 1 per cent respectively. The UAE currently ranks fourth overall globally in terms of the quality of its infrastructure, according to the World Economic Forum. Dubai attracted 15.8 million international visitors in 2017, with this figure set to rise to 20 million by 2020.